These days, the housing market crash of the early 2000s is history. Markets around the nation have rebounded in a big way, and it's possible to even find some markets that are actually stronger than they were in 2000. Whether you're a buyer or trying to sell your property, the reality is that the real estate markets are nothing to fear today - and in fact, they're well worth delving into if you've been thinking about making any kind of move. The San Diego real estate market, in particular, is incredibly robust, with excellent inventories and great sale statistics. In fact, San Diego County was just ranked as being the fifth-hottest real estate market in the entire country during September. Other areas like Miami and Houston that were once strong have dropped out of the top rankings, due mainly to the impact of hurricanes Harvey and Irma. But it's not storm-related factors that have helped drive up the San Diego Markets. Instead, it's a combination of other factors - most of which stem from everything that San Diego and the surrounding area has to offer. If you're not convinced, just take a look at some of the key stats that help the San Diego market stand out as being so strong. The main reason the market placed on the list was the turnover rate for homes listed. On average, a home only stays on the market for 39 days before being sold. Nationally, the median for turnover rates is 69 days. In other words, homes in San Diego sale a full month faster than those in most other areas. Inventory levels are relatively low, however. This smaller inventory is a key part of why homes listed here sell so quickly - there just aren't as many of them as there normally would be to meet demand. Median sales price for homes in the area is roughly $555,000, with average prices per square foot sitting at around $416. This is an increase of 8% from 2016 to 2017. So what does this mean, exactly? For starters, it means that those who want to sell a home in the area can do so now without much worry. The odds are very high that a listed home will sell quickly and for a price that is higher than the national average. But for those hoping to buy, the low inventory means that homes are at a premium. There are still good deals out there in some instances, but buyers will be shopping in one of the most competitive markets in the country when they shop for a home in San Diego. 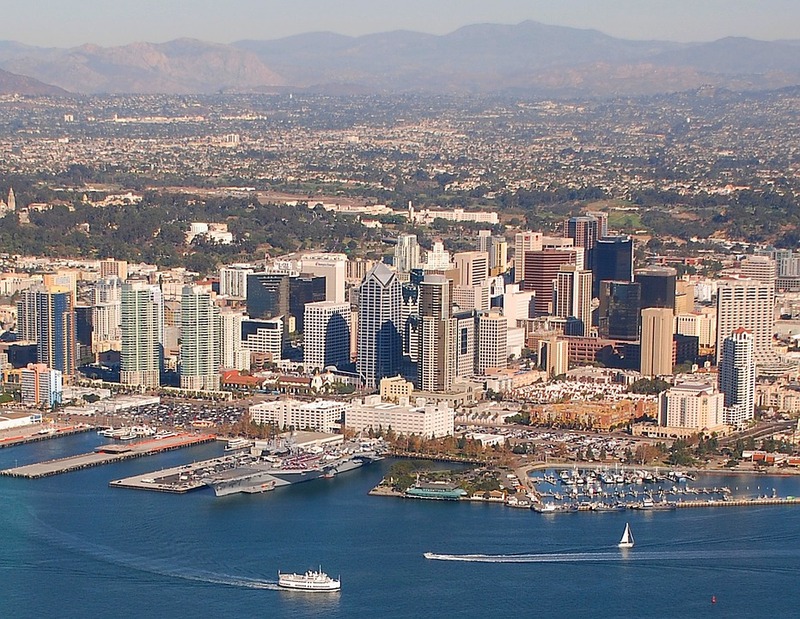 There's no definite on how the markets will move over the coming months, but one thing is for sure - the San Diego real estate market is one of the most robust and interesting in the country. Buying or selling, there's plenty to love about San Diego homes and plenty of potential here for those on both sides of the market.